Looking for something to stream this Memorial Day Weekend? Perhaps something with A Strong Female Lead? Michelle Wolf's speech at this year's White House Correspondents' Dinner may have been controversial, but it was also hilarious and spot-on. The truth hurts, people! 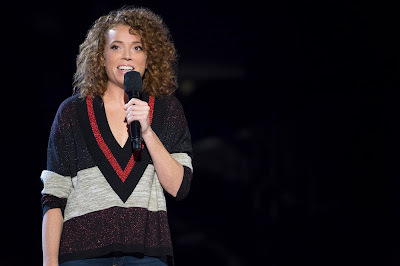 The Break With Michelle Wolf, a Netflix Original, premieres this Sunday May 27th on the streaming service. The series will feature sketches, live guests, and more in a weekly format. I'm looking forward to watching Wolf breaking the mold of strong female leads.